The Editorial Board is pleased to call for submissions for the first issue of 2017. 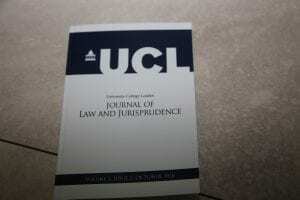 The Board welcomes papers covering all areas of law and jurisprudence. 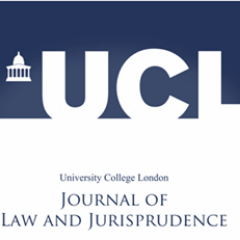 UCLJLJ accepts articles of between 8,000-12,000 words, case notes of 6,000-8,000 words and book reviews of 1,000-2,000 words. 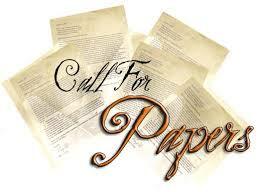 All submissions must comply with the Oxford University Standard for Citation of Legal Authorities (OSCOLA). Contributions that have already been published or that are under consideration for publication in other journals will not be considered. The deadline for submissions is 4th November 2016. Manuscripts must be uploaded via the submissions section on our website. 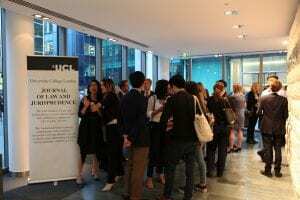 On Wednesday, 13 July 2015, the UCL Faculty of Laws hosted a public event on the constitutional implications of Brexit. Constitutional and European law experts from UCL discussed what the legal constraints are on the process of leaving the European Union (EU), and how they might influence the process of negotiations and the UK’s future relations with the EU. The discussants postulated that following the result of the Brexit referendum, the Country is about to embark on a process of leaving the EU. In these difficult moments, it is crucial that this process is in accordance with legal and constitutional requirements. The constitutional framework governing Brexit needs to be laid out clearly, and with precision, for the benefit of both the people and government officials. The panel of experts included: Professor Piet Eeckhout (UCL Laws), Professor of EU Law; Dr Tom Hickman (UCL Laws), Reader in Public Law; Professor Jeff King (UCL Laws), Professor of Law; Professor George Letsas (UCL Laws), Professor of the Philosophy of Law; Dr Virginia Mantouvalou (UCL Laws), Reader in Labour Law & Human Rights; and, Dr Ronan McCrea (UCL Laws), Senior Lecturer in EU and Constitutional Law. Is Parliamentary approval needed for triggering Article 50 of the Lisbon Treaty? What role should Parliament have in the Brexit process? Can and should there be exit negotiations with the EU before the triggering of Article 50? What are the possible options after Article 50 has been triggered? Can the notice of withdrawal be withdrawn? What are the options for future relations with the EU? How will Brexit affect areas of UK law that have been heavily dependent on EU law? Dr Hickman addressed the first two questions concerning the mechanism prescribed under Article 50 and the Parliament’s role in this process. To illustrate the current legal position, he suggested imagining a world where no Brexit referendum was scheduled to take place; where the UK Government decided to send the EU Council a letter informing of the UK’s withdrawal and Article 50 was triggered per the position taken by the UK Government. Would that letter of notification be lawful as a matter of constitutional law? Dr Hickman referred to his previous writings on the matter (with Nick Barber and Professor Jeff King) and opined that the described hypothetical letter would be an unlawful act. This is because this act would cut across the object and purpose of the European Communities Act 1972, the purpose of which was to give effect to the enlargement of the EU and give effect to the UK membership. Additionally, the power that the PM would use in this situation would be “prerogative power”. It is the inherent and residual power that lies within the UK Government to do certain things in the national interest. This power, however, cannot be used to unilaterally withdraw from the EU. First, the Government cannot exercise the power in a manner which is inconsistent with the statutory provision. As the 1972 Act was intended to give effect to the enlargement of the EU by the UK membership, using the Act to withdraw from the EU would contradict the Act. Second, this prerogative power may not be exercised so as to take away rights. Importantly, the 1972 act is an act of Parliament thus only another act parliament may override it. Based on these, he posited, the PM in the hypothetical example cannot trigger Article 50 without an act of Parliament that allows him to do so. It does not matter what form this Parliamentary act would take, as long as it is an act of Parliament. Dr Hickman maintained that, as a matter of law, there is no substantive difference between the Brexit referendum and the suggested hypothetical letter of withdrawal. Dr Hickman also noted that Article 50 has two particular features. First, once it is triggered the withdrawing country ought to negotiate a withdrawal from the EU within two years. Should it fail to do so, it would be evicted from the EU without an exit deal. This substantially affects and tilts the balance of negotiating powers of EU Member States vis-à-vis the withdrawing country. The second notable feature of Article 50 is that once a Member State has decided to withdraw, there is an obligation under Article 50 to notify the EU Council. Thus, if the referendum in and of itself qualifies as a decision to withdraw, then the UK is already under an obligation to notify. If however, the exercise of prerogative power by the PM is a decision of this Country then the government would come under great pressure to notify. In conformity with the opinion he expressed in his previous writings on the matter, Dr Hickman maintained that in both cases the authority lies with the Parliament, while the notification letter – much like the referendum – does not constitute a “decision”. Professor King addressed the counter arguments and objections to the position put forth by Dr Hickman. Some counter arguments assert that the position maintained by Dr Hickman is illegitimate and stems from the unwillingness to accept the results of the referendum. Nonetheless, clarified Professor King, the presented position does not address the consequences of the referendum. On June 23rd the UK voted on the “whether question” (i.e., whether or not to leave the EU); the public did not vote on the “how question”. It is this latter question which is the subject-matter of the position represented by Dr Hickman and Professor King. If so, the illegitimacy objection does not fly. Another, counter-argument was expressed by Mark Elliott. On this view, the prerogative power does not conflict with act of Parliament and more pointedly with the 1972 Act. Thus, Elliott asserts, there is no need for a Parliamentary act to trigger Article 50. Professor King rejected the argument. He maintained, inter alia, that an act which shrinks the European community by excluding the UK contradicts the object and purpose of the 1972 Act as manifested in its title and substantive provisions. Read as a whole, argued Professor King, the 1972 Act cannot plausibly be construed as anything but making provisions for ongoing membership. Further, Article 50 triggers a process which may end only in one of two outcomes: a withdrawal agreement or the treaty will cease to apply after two years. Importantly, under either option, the treaty would cease to apply. This would require amending the list of treaties set out in Section 1 of the 1972 Act, which enumerates the Lisbon Treaty. Such an amendment necessitates a Parliamentary act. Professor Letsas suggested taking a step back and focusing on the “whether question”. He stressed that the current debate is seemingly predicated on the understanding that the result of the referendum is binding, as a referendum is inherently reflective of and interwoven with democracy. According to Professor Letsas such an inherent link does not exist been referendums and democracy. Referendums do not replace democracy but compliment it. Democracy is more than the rule of the majority, it is a substantive value. Indeed, referendums are democratic, but only insofar as they meet certain substantive conditions. These conditions include – the protection of individual and minority rights; proper deliberation; and, the nature of the question posed. In his view, the EU referendum did a very poor job in meeting these conditions. Notably, the referendum excluded those who should have had a say in this – the EU citizens who are domiciled in the UK. This large group did not have a vote in the referendum, which directly affects their rights and obligations. Second, the nature of the question also poses a difficulty. According to this condition the question should have been a substantive one, yet it is actually a broad question with substantial constitutional ramifications. In fact, the referendum concerns the 1972 Act, which was treated by UK Courts as a “constitutional statute”. Notwithstanding the constitutional ramification of the vote, the referendum-question was not crafted as a constitutional issue, but as a single, straightforward, and substantive question. If so, and given the defects in the constitutional design in the referendum itself, the Parliament has a right and a duty to decide, at any point in time, on the issue and for the best interest of the public. Professor Eeckhout opined that since the results of the referendum became public, commentators seemingly belong to one of two “universes”. The first, the “political universe” composed of the EU and UK political class, who though are displeased with the results, accept them as a decision to leave. On the other side of the spectrum is the “legal and constitutional universe” who fails to see that a decision was in fact made. As a matter of positive law, Article 50 requires a “decision”. For the referendum to qualify as such, the Parliament had to pre-determine that the vote had a binding legal effect. Yet, the Parliament ascertained that the results are merely advisory. Similarly, post-Brexit, neither the Government, nor the Parliament, have made an official decision to withdraw from the EU. Dr McCrea addressed the role of the judiciary. Specifically, addressing the Courts’ reluctance to intrude on matters of parliamentary privilege and their reluctance to offer legal advice on theoretical questions (for e.g. : is there a need for an act of Parliament to trigger Article 50?). He expressed the view that it is highly unlikely that Courts would intervene in these issues and offer advice on the need for a Parliamentary act. Further, on the matter of notification under Article 50, Dr McCrea emphasized that once notification is given, it is valid under EU law, and the EU would not look behind the UK constitutional law credentials. For this reason, should the Courts consider the question theoretical and refrain from intervening prior to the act of notification, it may well be too late for them to declare the notification under Article 50 unconstitutional and unlawful post factum. This would simply not matter under EU law. Professor King dealt with the possible contention that recourse to UK Courts on the question of Article 50 may be perceived as an attempt to delay the notification of withdrawal. He explained that delay may result not only from litigation, but also may be the consequence of a Parliamentary act. Nevertheless, he opined, any such delay may be explained to the EU as compliance with constitutional requirements in good faith. Professor Eeckhout explained that the available options may be trifurcated and exemplified in existing models (Swiss, Turkey, etc. ): keeping some form of membership in the EU internal market; having a form of a free trade agreement with the EU; or, have neither of those and trading with the EU on WTO terms. These three options, as well as the existing models, stand for one of two trade options. First, the option to trade between two markets with harmonized regulations, in a manner covering all goods and most services; second, trade between two differently regulated markets. The most attractive option, economically, is the former. However, this route is inconsistent with the main themes of the “Leave Campaign” – taking back control and limiting immigration. 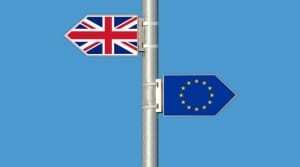 Professedly, it may be argued that the European Economic Area arrangement (EEA) may offer more sovereignty to the UK, as this arrangement does not bear the same effect on the domestic regulation. However, if sovereignty is considered as a substantive political concept, the EEA route would not bolster it. The EEA offers States very little room to affect the EU decision making process, while it entails an obligation to implement a considerable amount of EU law and regulations, including the freedom of movement of workers and persons. Since the EEA includes full free movement of persons, the UK would struggle to introduce limitations to immigration. Though the EU has not issued a formal statement on the matter, the 27 have noted that any EEA agreement would denote acceptance of the four basic freedoms, which include the freedom of movement. 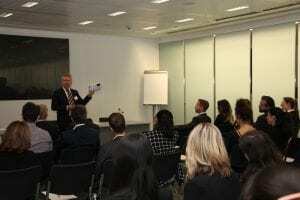 As for possible room for flexibility in negotiations with the EU, Professor Eeckhout opined that there may be some room to negotiate upper limits in the framework of EEA negotiations. A similar issue had arisen with Switzerland, who held a referendum on the freedom of movement and is required to implement its results shortly. Conceivably, along these lines, the UK government might try to negotiate an EEA agreement with some limitations. Nevertheless, any such negotiations would come at a price. If EEA membership is not achievable, a WTO relationship between the UK and the EU is possible. Some commentators have drawn an analogy between the TTIP agreement (US/EU) and the options for an EU-UK agreement. According to Professor Eeckhout, this is a useful analogy as it is illustrative of the political difficulty to conclude such agreements. Today, international trade negotiations are under extensive public scrutiny in the EU. The current position of the TTIP negotiations is uncertain, and the recent announcement by the Commission that national parliaments will have to approve CETA. These indicate that a TTIP-like arrangement would pose some challenges. On this point, Dr McCrea noted that the UK ought to be mindful of the manner Brexit is perceived by EU institutions. Some Member States fear that a generous exit arrangement with the UK would encourage other States to withdraw, and thus undermine the integrity of the EU. Indeed, there is precedent for limitations and derogations from some EU rights and freedoms. Thus, the UK may have a precedent to support a limitation of the freedom of movement. Luxemburg, for instance, was allowed to derogate from the right to vote for EU Parliament. Nevertheless, the right to vote for Parliament every five years is not as central as, the freedom of movement. As for EEA membership, it is noteworthy that any such arrangement necessitates the agreement of all the other States, which is likely to be granted. The members of the panel then addressed the need for an action plan vis-à-vis the EU prior to triggering Article 50. On this point, Professor King ascertained that a distinction should be drawn between examining UK’s options and opportunities with EU States, and entering into extensive negotiations. Indeed, some States maintained that no negotiations with the UK would start before notification is duly made. Yet, per Professor King, preliminary engagement with Member States does not seem to fly in the face of this EU position. Professor Letsas noted that the uncertainty with regard to the future relations with the EU is not only bad for the market; it is detrimental for the people. The EU rules that would be removed as a result of the withdrawal concern fundamental rights and freedoms. These excluded rules must be replaced with other legal arrangements. This process necessitates a clear plan. Dr McCrea stressed that the mechanism prescribed under Article 50 does not assist the UK. Under Article 50 any exit arrangement must be approved by the EU Member States. However, it does not entail a unanimous approval, but a qualified majority vote. Thus, no State may veto an exit deal in order to assist the UK to negotiate a better one. As mentioned, Member States are concerned with Brexit and its effect on the integrity of the EU and are therefore not inclined to opt for a generous exist deal. For the foregoing, there is also very little incentive for States to negotiate with the UK before Article 50 is triggered. In fact, the structure of Article 50 is designated to reinforce the solidarity between the 27 at the expense of the withdrawing State. Can the UK withdraw its withdrawal? Professor Eeckhout addressed the legal feasibility of withdrawing the withdrawal. Interestingly, the importance of this legal question is linked to the division of roles between the Government and Parliament in the UK – does the UK Government control the withdrawal? The answer to this question bears on the UK’s potential power to withdraw its withdrawal. As for the wording of the Lisbon Treaty, Article 50 is silent on this point. Some commentators maintain that Article 50 may be construed to allow such a move, yet Professor Eeckhout is skeptical. He maintained that the internal structure and logic of Article 50 supports the opposite view. According to Article 50, if no exit agreement is negotiated within two years, the treaty “shall cease to apply”. This, in the opinion of Professor Eeckhout, is indicative of the fact that a State cannot withdraw its withdrawal. Furthermore, it stands to reason that it should not be allowed. If a State would be allowed to announce a withdrawal, and withdraw it in case it is not happy with the negotiations for an exit deal, that would invite an abuse of process. Dr Mantouvalou addressed the position of EU citizens living in the UK and UK citizens living in the EU. Recently, many alarming statements by MPs were reported in the press, regarding the status of EU citizens domiciled in the UK. Dr Mantouvalou argued that these positions may lead to the violation of the European Convention on Human Rights (ECHR), and specifically Article 8 – the right to respect for private and family life. This breach may be created in a twofold manner – by the uncertainty created under the current situation, and by a possible future deportation of EU citizens from the UK. Over a million EU citizens currently reside in the UK. They have arrived with legitimate expectations, in a lawful manner, in conformity with their EU citizenship, and while exercising their free movement right. This right was construed broadly by the ECtHR so as to cover the protection of a particular life style and a way of life, including in cases of eviction from a certain geographic area. 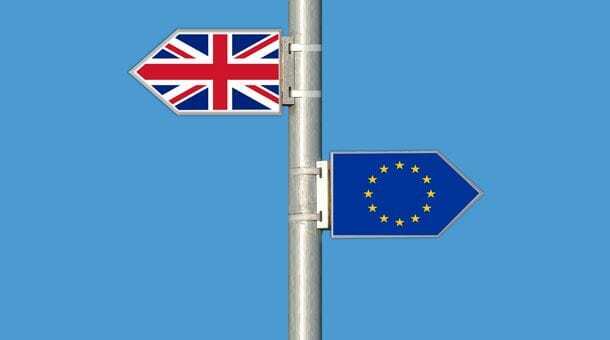 The uncertainty over the situation and status of EU citizens in the UK, possess the potential of violating of their right to private and family life. As for the ability to deport EU citizens, which seem to be a possibility according to the Government, under EU law deportation may only be performed under extreme situations of emergency or matters of security. Seemingly, the Government’s position is that it is not planning to follow this constellation, but it is then not clear how any future deportation of EU citizens may be legally justified. Dr McCrea noted that Brexit brought about two main challenges. First, EU law and EU membership is interwoven and embedded in many devolution arrangements. This means that any decision to withdraw bears on devolution settlements. As for the contention that the Scottish Parliament may veto the decision, it is problematic. Legally, EU matters are reserved solely for the Westminster Parliament. Thus it may be unconstitutional for Scotland to veto the decision to leave. Recently, the Scottish Government argued that a material change in the relations with the EU may trigger another Scottish referendum. This leaves the Scottish position vis-à-vis the UK in the UK’s position with the EU. Thus, the UK may leave the EU by a single referendum vote, and each part of the UK may leave it by a majority vote in a local referendums. Ironically, the UK sought to leave the EU, a federation of sovereign nations, in the name of national self-government and parliamentary sovereignty, only to learn that it too may become a “mini-EU” allowing parts of the UK to leave – using EU language – “according to their own constitutional requirements”. Prof King addressed the implications of the referendum of Northern Ireland and Wales. He explained that the restriction of freedom of movement between Northern Ireland and Ireland may have politically explosive consequences, for a border between these two areas is extremely significant. Further, the Norther Ireland Act provides under Section 1 that if the majority of the people wish to leave the UK, they may ask the UK to Government do so. Thus, the disagreement over the Brexit vote in Northern Ireland may lead to the activation of the power under Section 1.